It’s DIY time!! This DIY takes only a few hours, but over 2 days! Stain the wood boards. Make sure to stain all the edges, they will be seen! However, you only need to stain one face of the board. Leave outside over night to air out. 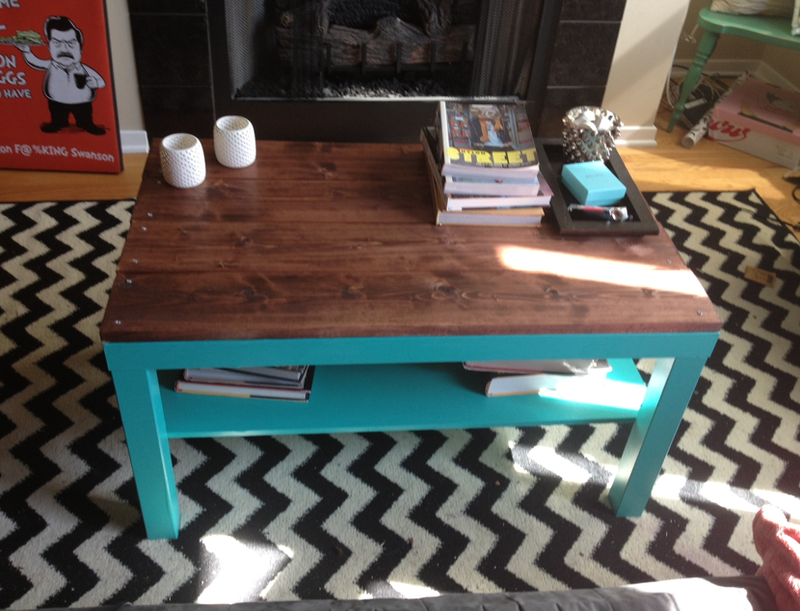 Paint the coffee table. I used 3 coats to make sure the turquoise popped. Lay the wood out over the top section of the table. (Do not put the table together yet.) 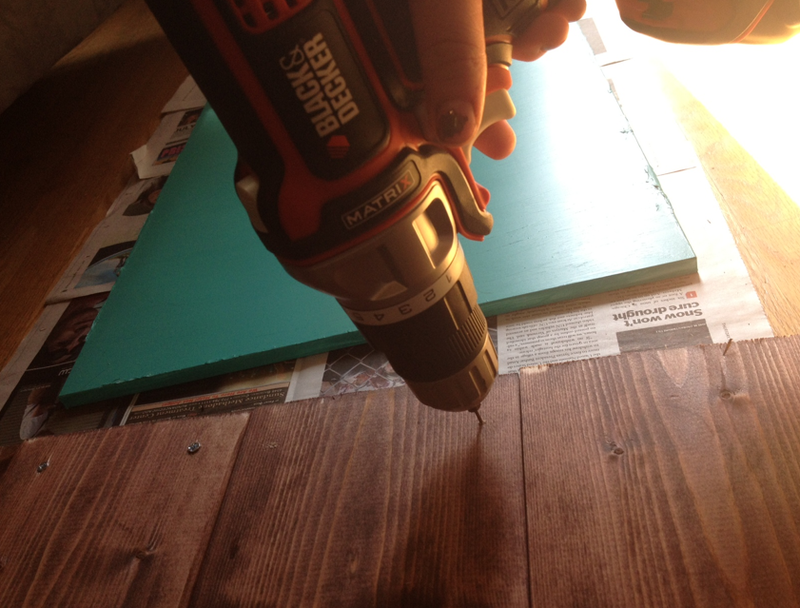 Make a hole in the wood with the drill bit, this will make it easier for the screw to set. After you have done that screw the wood into the coffee table. Put together the Ikea coffee table as you normally would! Voila! 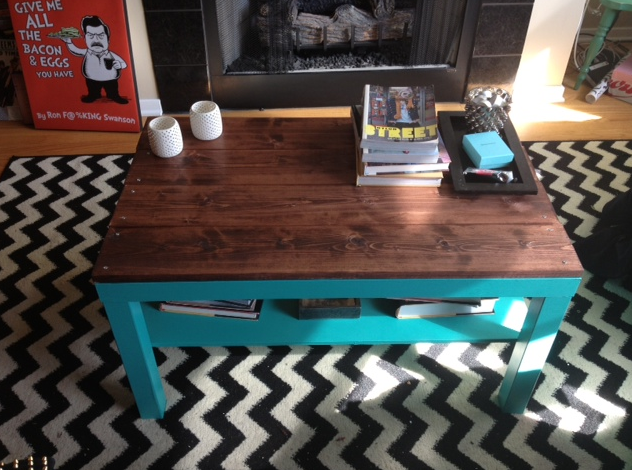 Your Ikea Hack coffee table is complete! 08 Mar	This entry was published on March 8, 2013 at 1:50 pm. 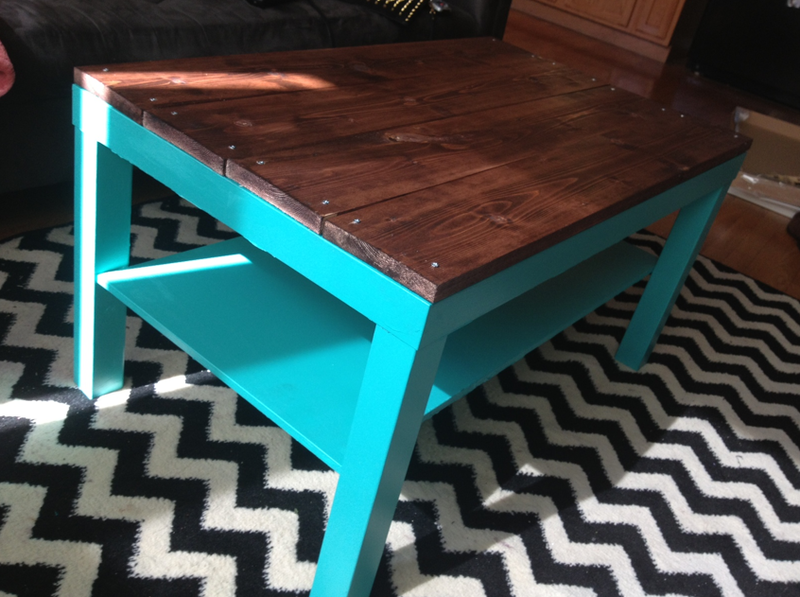 It’s filed under DIY and tagged Blue, coffe Table, Craft, Crafting, DIY, Do It Yourself, Drill, Drill Bit, Home Decor, home design, Ikea, Ikea Hack, Pallet, Screw, Turquoise, wood. Bookmark the permalink. Follow any comments here with the RSS feed for this post. 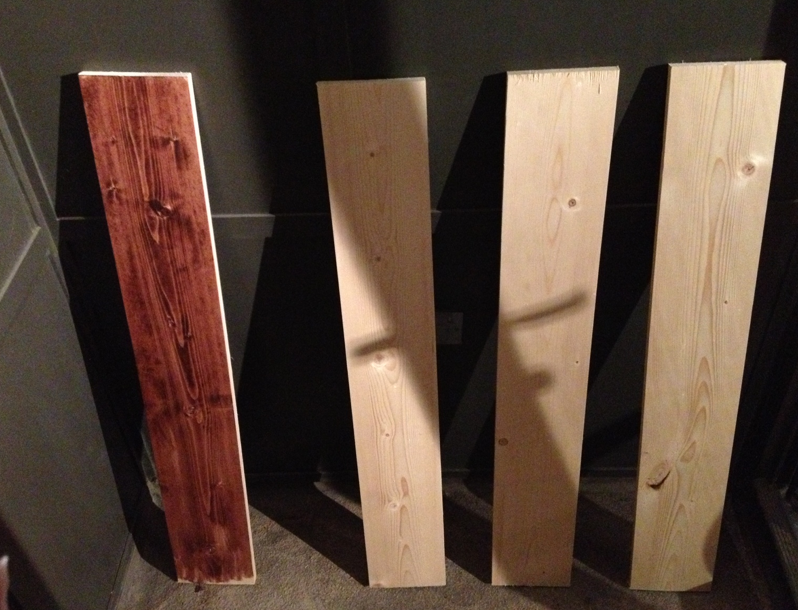 Where did you get your lumber and wood stain? Does Home Depot or Lowes cut custom board sizes like this? Yes. I went to Home Depot an they will cut the wood to the size you need. I did two coats, one right after the other. You can use a thicker coat when applying, but don’t forget to wipe away the excess. I did another coat and it looks much better! One more question – what did you use for a protective coating? I was thinking water-based poly..
That’s exactly what I used!